Really enjoying PASTEL GHOST right now. Tagged as 'dreamrave', it hits the right combination of driving electronic beat associated with post-rave synthpop music like TR/ST, Mr Kitty, with the dreamwave/shoegaze influences in the voacals and production. 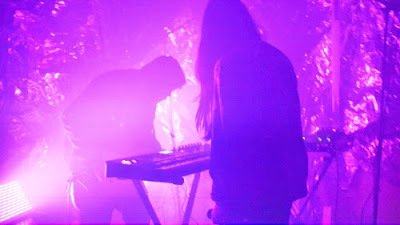 Some of it reminds me of Crystal Castles, but without the 'gameboy drowning in a bathtub' vibe. Check out PASTEL GHOST, and related artists - Excellent stuff. I hope she tours Toronto sometime this year.